Home About Universe Alien stars Astrobiology Astronomy Astronomy Picture of The Day Beginners Gallery Info Infographics Missions Planets Search for life Stars Videos Was life on Earth brought by comets? 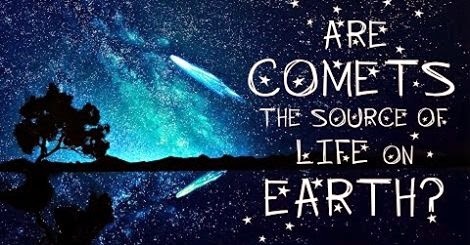 Was life on Earth brought by comets? Why do researchers conduct so much study into comets and asteroids? They might thus far provide the answer to the question: "where did natural life on Earth originate from?"